Spotware, a leading company developing trading platforms for brokers, partners up with Match-Trade Technologies, a FX and Crypto technology provider, to bring a new quality of turnkey White Label solutions. This partnership profits from the key advantages of both suppliers, a very stable and reputable cTrader platform and high-tech complementary services for brokers along with technological support offered by Match-Trade Technologies. cTrader being Spotware’s flagship trading platform solution has already gained the trust of millions of traders worldwide. Offered White Labels will be completed with Match-Trade’s tools like integrated Client Office (expanded with CRM feature) appreciated by many brokers, crypto payment gateway or ultra-fast data feeds. Match-Trade also guarantees seamless integration with any Liquidity Provider. The most important advantage of such a combo is the fact that it offers the highest quality service and a relatively low entry threshold making it easy to implement and affordable even for start-up brokers. What distinguishes the solution offered by Spotware and Match-Trade is the advanced technology and client support provided by Match-Trade experts. Thanks to this, clients receive a comprehensive solution and the certainty that the entire set up process will run smoothly so they can focus on business development. ”Spotware has been integrated with Match-Trade’s technology for years. We are pleased that they have decided to extend our cooperation and include cTrader in their product offering alongside other well-known trading platforms. We see Match-Trade as an important sales support for us because of its high-quality complementary services that further enrich our core-offering. In addition, their experts provide invaluable support for clients, both in a technical and consulting capacity to help them choose the optimal solution tailored to their needs. I believe we have chosen a trusted partner who will not only provide the best experience of the cTrader platform but also support the business development of their clients, just as we do” says James Glyde, Chief Commercial Officer at Spotware. “To address the needs of the clients seeking a solution designed for web access we have decided to extend our portfolio of services with the cTrader White Label solution. Spotware is a reputable company that offers proven solutions of the highest quality and cTrader is recognized as one of the best trading platforms available on the market. For those who are looking to start their own Forex brokerage, we have created a unique and complex trading infrastructure with optimal start-up costs” states Michał Karczewski, Head of Business Operations at Match-Trade Technologies. 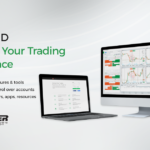 cTrader is a complete trading platform for Forex and CFD brokers. The platform is already packed with a full range of features and thanks to additional tools such as extended Client office or cryptocurrency features – it is a turnkey solution, optimal for brokers looking for intelligent technology that does not require a large investment. Match-Trade Technologies and Spotware will be exhibiting at financial B2B iFX EXPO Asia in Hong Kong on 22-24 January 2019, where the details of the partnership will be presented. Spotware is an award-winning financial technology provider specializing in complete business solutions and complex custom development projects that add value to their clients. It is best known for its flagship product, cTrader, a premium FX and CFDs trading platform offered by leading brokers and trusted by millions of traders worldwide. It has also developed cXchange, an out-of-the-box digital asset exchange solution that allows any business to launch a cryptocurrency exchange. Spotware has been raising the standards of the online trading industry since 2010 providing constant innovation ever since. Founded on the values of transparency and Traders First™ approach, the company develops products that are responsive to the changing demands of business and regulatory landscape, and serve the long-term interests of all market participants. For press enquiries please contact: marketing@spotware.com.